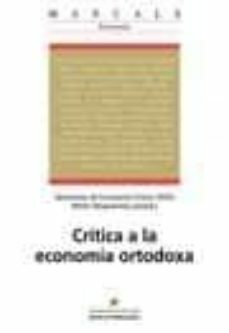 This is a collection of articles that pose a critical revision of conventional economics that is taught at universities and is used widely in the academic world, in business and even in the public economy. The objectives of this book are manyfold. First, it aims to put into clear relief the relativism of economic thinking and how, in each new era, it depends on the prevailing economic interests. Second, it aims to stimulate a profound understanding of its limitations. Finally, and most importantly, it aims to promote the study and search for other interpretations in the world of economics that might serve to help in understanding and transforming the society we live in.